I can see putting this beautiful simple syrup in SO many things! Love the idea of adding it to a sangria! I feel like I need to sit down and really brainstorm uses for this syrup – the possibilities seem endless! my dad loves rubarb!!!! i need to try and make this for him!!!! This looks cool! And it doesn’t look as difficult as I would have guessed. 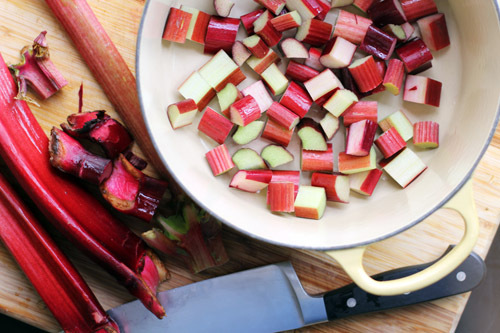 I never cook with rhubarb – I’m going to have to break that fast. How long can you store it? Can you can it to save for later as well? This will last for a LONG time in the fridge…definitely several weeks, I might even go as far as to say months. I don’t know about freezing, but you can also preserve simple syrup by canning if you want to keep it for a really long time. 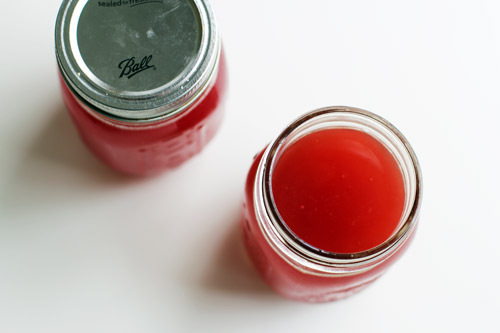 Just follow regular canning instructions like you would can anything else. Hi alyssa! 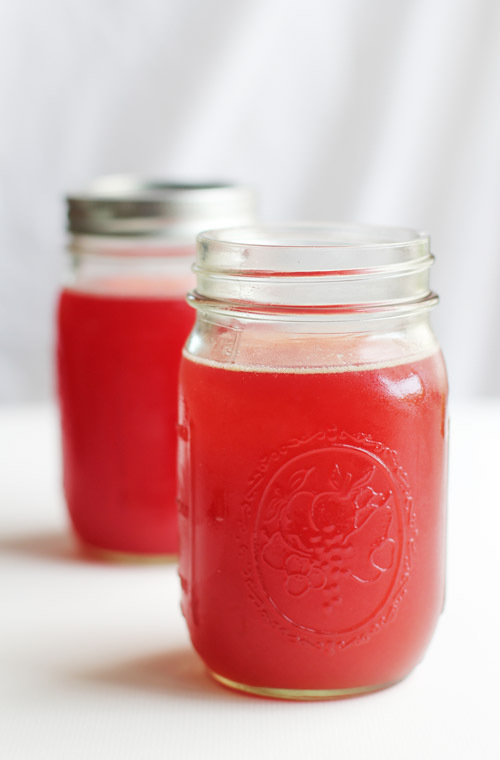 Yes, you definitely can make simple syrups with other fruits! You could try just subbing in 1 cup blueberries, although I might go for 2, and then you can strain the syrup when you’re done. I also have a recipe for a saucy syrup using blueberries that has different proportions than a simple syrup https://thisweekfordinner.com/2010/05/11/homemade-berry-saucy-syrup/ more fruity. bottom line, for sure make blueberry simple syrup! yum! 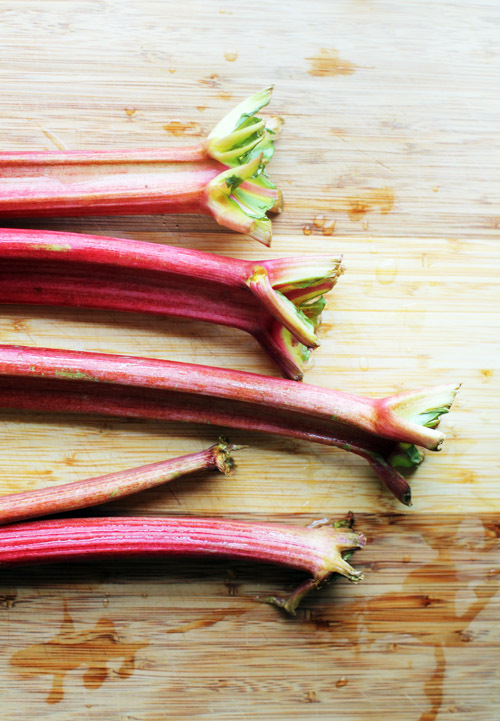 I use this in a special rhubarb float. 2 scoops vanilla ice cream, ginger ale or Sprite, rhubarb simple syrup, garnish with mint sprig. that sounds SO GOOD! Thank you for sharing, will put it on my to-try list! You mention vanilla extract in the recipe as optional but you never stated when it is to be added should we want to use vanilla.